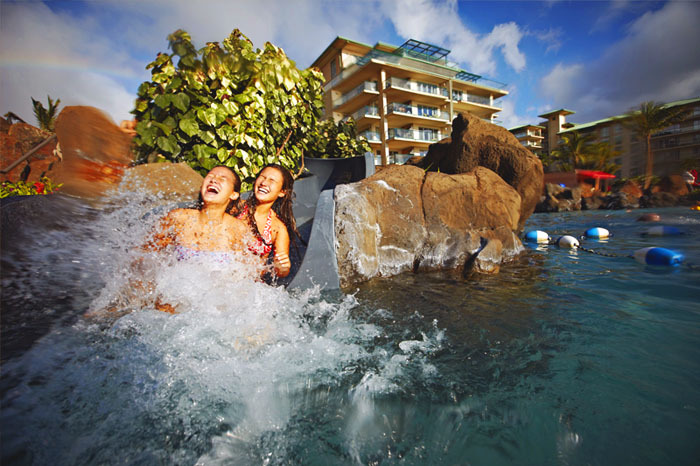 On Maui the Royal Lahaina Resort is one of our favorite places for Destination Weddings in Hawaii. Book with us for great deals at the Royal Lahaina for your wedding guests too. Travel Guide to Hawaii offers hundreds of choices for Destination Weddings in Hawaii and beyond. The Caribbean and South Pacific Resorts host Destination Weddings that are all inclusive. Wedding vacations at Sandals luxury Caribbean all-inclusive vacations. At Sandals your all-inclusive destination wedding includes a dedicated wedding planner and a Beautiful Beginnings wedding theme. 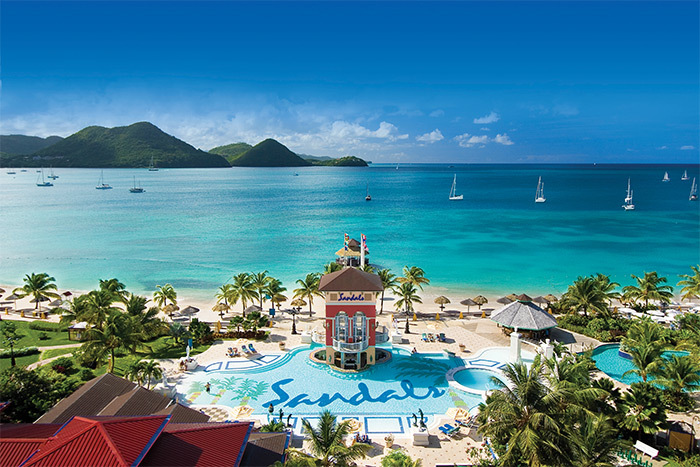 Click here to view more free services included in the Sandals destination wedding package. For Vow Renewals and honeymoon vacations Sandals welcomes couples in love, book your romantic vacation package through Travel Guide to Hawaii. Surrounded by majestic views and a warm turquoise lagoon. 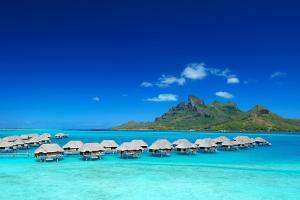 The Four Seasons Resort Bora Bora features 85 over water bungalow suites and 15 over water suites with plunge pools. Also available are 7 luxury beachfront villa estates and 1 private island. One, two and three-bedroom villas accommodate up to 6 adults. An award-winning spa and healing center includes massage, body treatments, facials and more. The perfect resort for a honeymoon, anniversary celebration or romantic getaway. 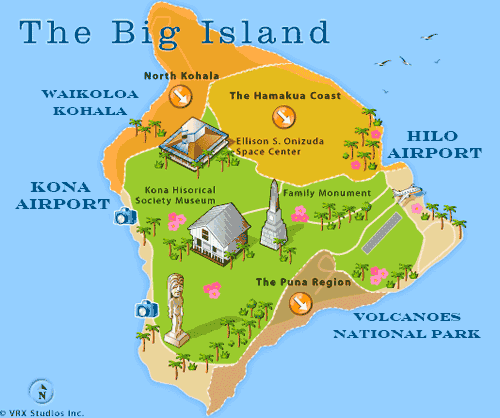 Travel Guide to Hawaii can arrange for you to get married closer to home and have your reception or honeymoon in Hawaii. We have lots of great Destination Wedding Resorts on the mainland USA. 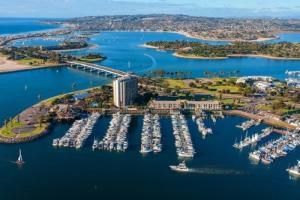 The Hyatt Regency in San Diego is a fantastic choice. The climate in San Diego is beautiful all year round. Location 1441 Quivera Road, San Diego, CA, USA 92109 Hyatt Mission Bay Spa & Marina is eight miles from the San Diego Convention Center and San Diego’s central business district.